Anyone who's seen "The Social Network" has a good idea of Facebook's inception and meteoric rise in popularity. 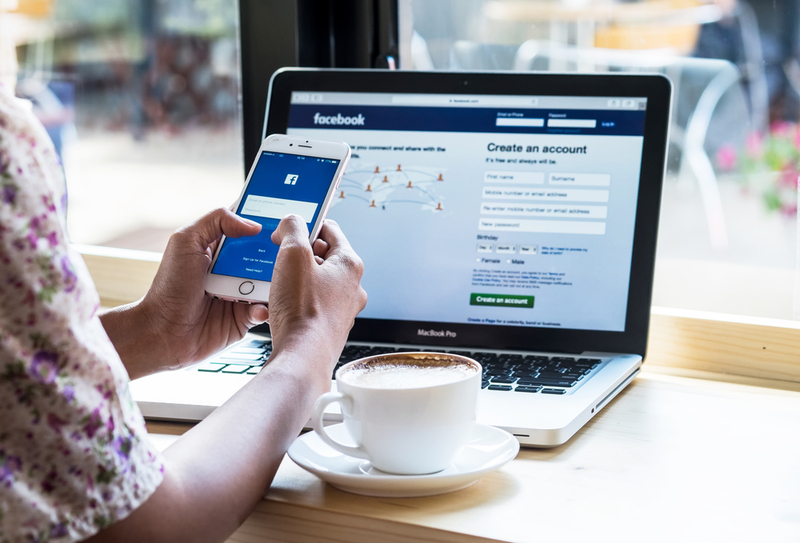 Today, the social network connects men and women of all ages, with nearly 70 percent of all U.S. adults using Facebook on a regular basis. But this social media platform didn't just change the way we connect. It's also made plenty of waves in the world of online advertising. Let's trace the history of Facebook ads from the basic Flyers in 2004 to the current year, capturing the incredible growth and expansion of ad platforms available to advertisers (carousel, slideshow, dynamic, etc.) from the social media behemoth. 2004: Facebook launches its first ad revenue project, called Flyers, which were ads placed on Facebook's homepage. This offered local businesses the opportunity to send ads to a particular college campus. This evolves into an auction model called Flyers Pro. 2005: Facebook starts to offer sponsorship deals to big brands for its Groups section. Apple gets involved, sponsoring a group on Facebook, and agrees to pay Facebook $1 per member per month. The group's membership explodes in popularity, earning Facebook over $100,000 in its first few months. 2006: Microsoft signs a three-year agreement with Facebook to be the exclusive provider and seller of sponsored links and banner ads. In August, Facebook launches its video advertising platform. 2007: Facebook launches its Facebook Ads platform, part of which includes Beacon and Facebook Marketplace. Beacon was found to track online actions by Facebook users on more than 40 sites, even after they left the network. Facebook Marketplace is still with us today. 2008: Facebook launches "Pages," hoping to actively court page owners to do paid advertising down the line. In addition, the network optimizes its service for mobile phones. 2009: Facebook introduces various language ad options and geographical targeted ads options. 2010: Facebook offers its site as a mobile app. By 2017, Facebook has over 1.8 billion active mobile users. 2011: Facebook offers advertisers a desktop ad program called Sponsored Stories. Advertisers' content appears in users' feeds and looks like posts from friends. Unfortunately, users felt misled by the program. Just three years later, the company drops it from its advertising options, after users cite privacy concerns. 2012: Facebook offers advertisers the Social Graph, which brings together data from connections, likes, and follows by users. The data are used by Facebook with advertisers. Also introduced is Facebook Exchange, a real-time bidding vehicle for advertising. 2013: Facebook buys Atlas Solutions from Microsoft for $100 million to escalate its ad-serving capabilities. Retargeted ads start showing up in users' feeds, displaying products and services users searched for outside of the Facebook universe. 2014: Facebook's ad revenue expected to reach $7.7 billion for the year. 2015: Mid-year results show Facebook's mobile ad revenue in 2015's second quarter reach nearly $3 billion, 75 percent of its total ad revenue. 2016: Facebook's international ad revenue in 2016 grows at massively high rates as the rest of the world catches up with Facebook's growth in America. 2017: Facebook unknowingly runs fake ads during the 2016 U.S. presidential election. To help stop any future false ads, Facebook says it will show users which posts on pages are ads. 2018: Facebook continues to expand ad formats, offering 11 different types of advertising options. Newer PostKey(word) Benefits: What Does a Successful SEO Campaign Look Like?